After you finish painting your walls, you want to make sure they stay as clean as possible. So what can you do to keep your freshly painted walls looking like new? The professional home painters at Drywall & Painting Specialist provide their clients in the Northern Kentucky area with expert drywall repairs, installation, and painting services. 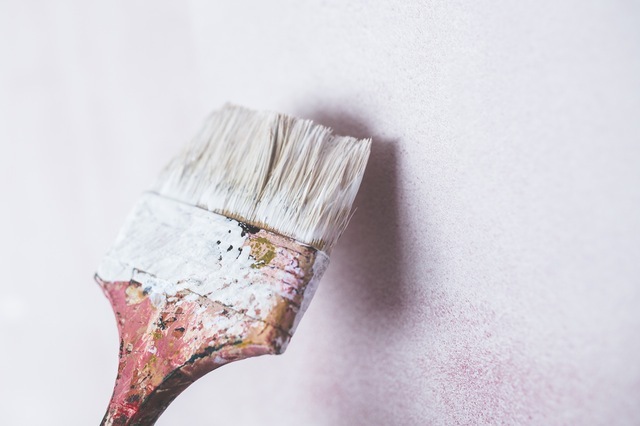 Their skilled exterior and interior painters are known for their expertise and for offering high-quality services to their customers, and they have advice on how you can keep your newly painted walls free from smudges and stains. Dust Your Walls: Dirt, dust, and cobwebs can dull the appearance of your walls and shorten the life of your new paint job. Sweep a microfiber cloth over your walls and ceiling every few months or use a vacuum with a brush attachment. You don’t have to clean the areas that are covered by pictures or other wall hangings, since these spots tend to not get as dirty and they won’t be seen. Wash Bathroom & Kitchen Walls: Steam in your bathroom and cooking in your kitchen leave residue on your walls. These rooms are usually painted with glossy or semi-glossy paint, making them safe to clean. You should also wash rooms that are frequently used by children or smokers or that have a fireplace. The interior painters at Drywall Painting & Specialist suggest cleaning these walls at least once a year with a sponge and non-abrasive soap diluted with water. Clean High-Traffic Spots: Make sure you clean or wipe down areas around light switches, thermostats, and other wall fixtures that are frequently used. Don’t forget to dust the areas of the wall behind electronics and radiators as well as the spaces above heating grates. These spots tend to accumulate dirt and dust but are often neglected since they’re not easily visible. A fresh coat of paint is a great way to update your home and give it a fresh appearance. For superior-quality work from the best home painters and drywall experts in Northern Kentucky, call DryWall & Painting Specialist today at (859) 512-7009. For more information about their services, visit them online.